Some of the more commonly discussed topics include the rising cost of living and the challenges arising from this issue. ABC.net.au reported on 8 February 2018 that the latest figures from the Bureau of Statistics demonstrate that the cost of necessities including rent, transport, fuel, and food are rising fast and are well above the growth in wages and salaries. Therefore, in order to survive, it becomes critical to cut costs as much as possible across all aspects of the monthly cost of living like food, transport, and education. Unfortunately, certain events like having to move your home or office to a new location arise and they have to be paid for. Therefore, the question that should be asked and answered is how to manage these unavoidable situations. The obvious answer that springs to mind is that the cost of the event must be managed to ensure that it remains as low as possible. At the outset of your move, it is vital to draw up a detailed budget to determine the maximum amount you can spend on your move. Additionally, you might have to play with some figures and cut down on several items to ensure that you have a workable, affordable budget. It is pointless putting together a costing if you cannot afford to pay for it. 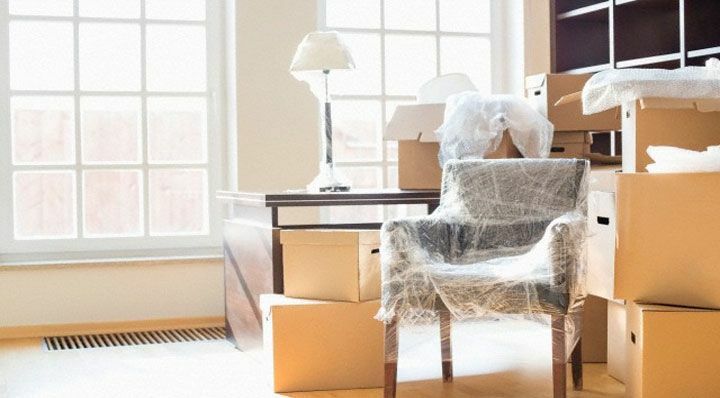 The next step is to determine the right removalist from a number of budget-friendly removalists in Sydney whose expert movers will help you move within your budget. Once again, it does not help contracting an expensive removalist to move your furniture because you won’t be able to pay for it. The perfect removals company should be able to provide a quick, cost-effective, and professional move. Simply stated, the more furniture and boxes you have, the more your move will cost. Also, everyone tends to accumulate unnecessary items like kitchen appliances that have never been used more than once. Additionally, it is easy to collect old or broken household items that haven’t been thrown out or donated to charity. Therefore, before you start packing, sort through all your possessions and divide them into the following three groups: to be packed, to be donated, and to be thrown away. This will ultimately reduce the cost of your move as only the items in the first group (to be packed) will make it onto the removals truck. cladding and wrappings like blankets to protect your furniture from being damaged while in the removals truck. The tips mentioned above constitute a broad overview of how to implement a number of cost-saving measures to reduce the cost of your move. Finally, chat with your removalist for a successful, in-depth, cost-saving moving plan. Before 2008, Bill was working with a local removalist company in Sydney and was witness for a number of deformities and wrongs in the working of the company. Observing the atmosphere, a thought came to Bill’s mind that he could do much better if he were the owner of the company, by offering a fully transparent service to the clients with a friendly and trustworthy staff and no hidden fee structure; and thus, in 2008, AAA Bill Removalists Sydney was formed with just one truck and only Bill as staff. Even if Bill Chen began the company as just one man, the company grew fast. The operation expanded beyond the Sydney suburbs and to the surrounding cities: Wollongong, Wagga Wagga, Albury, Sunshine Coast, Gold Coast, Coffs Harbour, Canberra, Newcastle, Melbourne, Brisbane, and other.